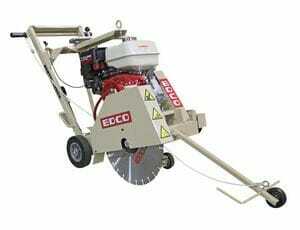 We offer a complete line of EDCO professional sawing equipment for concrete and asphalt cutting. These saws are built in the USA and are built “rental tough” for even the hardest applications. 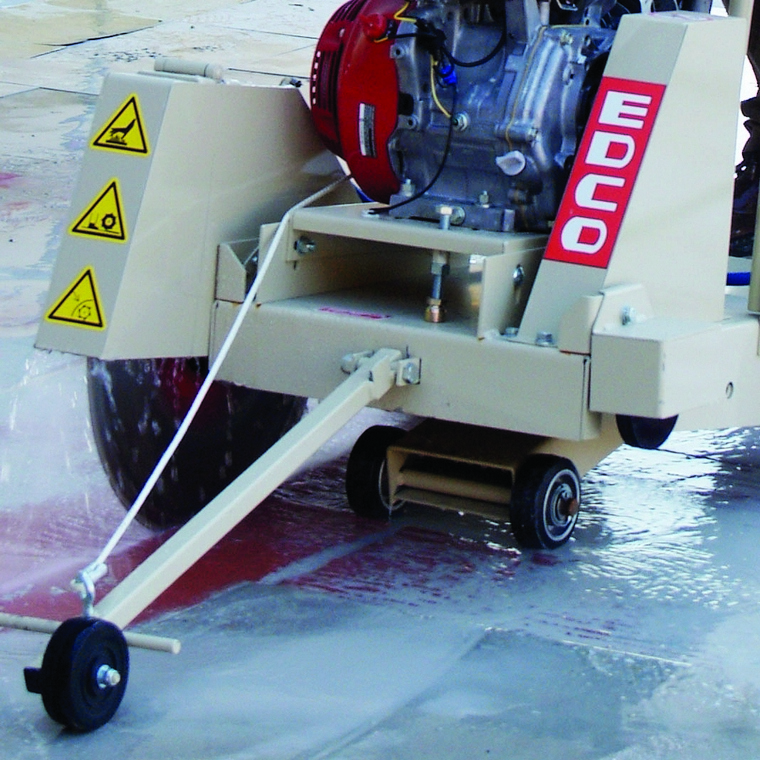 The EDCO walk-behind line of concrete saws cut depths varying between 1″ to 6 ¾” and are used for trenching, utility installation, crack repair, and other short-run sawing applications. Our most popular sizes are 14″ and 18″ in both gasoline and electric versions. EDCO also manufactures up-cut and down-cut versions to suit your needs. 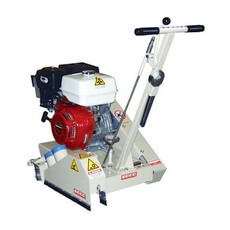 EDCO self-propelled saws cut depths varying between 7″ to 10 ½” and are used for highway, road, and bridge repair; utility installation and other long-run sawing applications. These are available from 20″ to 30″ in either gasoline or electric versions. All come standard with electric start, rear swing-away fuel tank, and screw-type depth control with lock which guarantees accurate cutting. 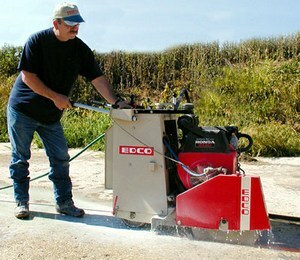 EDCO manufactures a unique 8″ saw with rear casters that is used to chase and open up cracks up to 1″ deep in concrete floors with a special “V” type blade. There is also an optional straight cutting wheel kit for straight cuts. The crack can then be cleaned using an optional wire wheel. Once cleaned, the crack can be filled thereby repairing the floor and upgrading its appearance.